Turkish Food as made by a European. 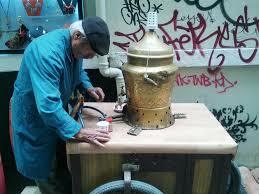 I had my first taste of a special Turkish drink on a cold wintery day in Istanbul about 15 years ago. I was crossing the Bosphorus for the first time from East, Anatolian, to the west, European side. Despite it being cold and snowy I was outside absorbing the magnificent skyline, the minarets, the mosque the palace, all seen before via web sites but nothing was like that first view. I have been to Istanbul before but always flown and drove so not had this experience of the crossing of the Bosphorus that many in history share. The skyline now also holds fantastic high-rise buildings but they do not diminish the magnificence of the view. I was literally shivering when my husband brought me a milky looking drink in a plastic cup. I did not really plan on drinking it (I don’t like milk) just holding it warmed my hands! The aroma from the drink was rich and not milky it had a spicy element to it that I couldn’t place at first. Then I sipped it. Oh it was nectar, a little taste of luxury and it felt so smooth to swallow. The spice was cinnamon and the drink Salep. 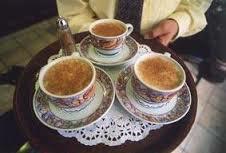 I have drunk salep many times since but will never forget that first introduction.